Inetsoft provides a highly functional Bi platform capable of addressing sophisticated reporting needs through to end user data visualization. 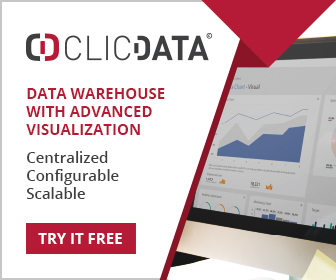 Power users are able to build the visualizations they need, although Inetsoft is more focused building production data visualizations and as such compares with QlikView, rather than data exploration platforms such as Tableau and Sisense. However neither of these address production reporting needs. Around 40% of Inetsoft’s business comes from OEM customers and the embedding of BI functionality into other applications. Direct users of Inestsoft include some big names, and the scalable architecture means demanding BI requirements can be met. Style Intelligence includes everything, including that data mashup capability, dashboards, charts and reporting. Style Scope does not include reporting capability, but does include the charts and dashboards, and so it is more of a data visualization platform. Style Report is the reporting module without any visualizations. The Agile Edition is actually free, but does not come with any security features and can only connect to spreadsheets and some of the more popular databases. It supports two users. Inetsoft addresses production reporting needs, data visualization, and dashboards. At the heart of the product architecture is the data mashup engine which accesses most data sources, including big data (Hive), and allows data to be merged and transformed as needed. Unlike many contemporary BI platforms, Inetsoft accesses data directly in the database, and pulls it into an intelligent caching engine, perfectly capable of handling millions of rows of data. The cache can be scheduled for update as needed, and new data is simply appended to the end of the cache. Since the cache consists of compressed data, it can handle large volumes of data in-memory. The interface is largely drag and drop, allowing users to create reports, charts and dashboards, typically without code. Native apps exist for iOS and Android mobile for viewing dashboards and reports, and different layouts can be designed to accommodate the device they are viewed on. Write back can be implemented where appropriate, so that data can be modified in a report and written back to the database. Typical applications involve remote workers who need to update the status of a task. Dashboards and reports can be as sophisticated as necessary, with conditional formatting, the nesting of charts (clicking on a detail in a chart invoking another chart, or table), and tables and charts can be used to filter each other. Most chart types are supported including radar, box and whisker, waterfall, in addition to all the usual charts. Maps are well supported and location based applications can be created that map such detail as a factory layout. Although the company does not call it such, Inetsoft supports a semantic layer where unfriendly file and attribute names can be mapped to names that are somewhat more friendly. Inetsoft runs in a Java application server, and can be called from web applications. This accounts for the fact that Inetsoft sees a considerable amount of business from OEMs who need to embed BI functionality into other applications. Security is down to the data cell level, if needed, and LDAP, Active Directory and other authorization mechanisms are supported. Inetsoft platforms lie somewhere between products such as JReport (which also focuses on BI embedding, reporting and dashboards), and QlikView (for production oriented visualization). As stated at the start of this review, Inetsoft provides a good all-round platform for BI, and its enthusiastic uptake by OEMs illustrates the power and flexibility of the platform. Departmental use is common, but it also finds organization wide use in some large businesses. Developers will like the Java oriented nature of the platform and power users will appreciate the ability to create sophisticated reports and dashboards. Style Scope is an easy to use, interactive dashboard software application that includes real time reporting capabilities. Visualized analysis is constructed in real-time by dropping data items into visual elements such as charts, metrics and selections. The resulting visualizations reveal the intrinsic relationships among data and allow for easy apprehension of multidimensional data. Connectivity to relational databases (JDBC), multidimensional databases, XML, SOAP, Java beans (POJO), Microsoft Excel, and flat files. Embedded dashboarding – a Java-style API and multiple integration points. Connectivity to relational databases (via JDBC), multidimensional databases,column-based data warehouses, OLAP cubes, Hadoop/HIVE, MapR, SAP HANA, PeopleSoft, SAP ERP, Siebel CRM, Google AdWords & Analytics, JDE, salesforce.com, Microsoft Excel, flat files, XML, SOAP, Java beans (POJO), EJB beans and more. Embedded BI – a Java-style API and multiple integration points allow developers maximum control over programmatic use of dashboarding and reporting.